What’s the truth about buying a Riviera Nayarit Timeshare at Villa del Palmar? The truth about buying a Riviera Nayarit timeshare at Villa del Palmar is simple. There are few timeshare brands as reliable and as great value for money as the Villa del Palmar brand operated by the Villa Group; on top of which Riviera Nayarit in Mexico is one of the prime spots for vacation ownership for visitors from the United States and Canada. 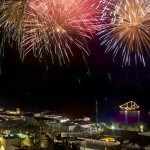 Take a look below at the real truth about buying a Riviera Nayarit timeshare at Villa del Palmar. When buying a Riviera Nayarit timeshare, one of the first things to consider is whether you are getting a good deal for your money. Timeshare at Villa del Palmar is one of the best value on the market. You benefit from Villa Group’s extensive experience developing timeshare in Mexico and their ability to provide quality products at highly competitive prices. Relatively small in comparison to the timeshare giants that are renowned for inflated prices, Villa del Palmar resorts are a great price perfected by excellent personalized services. Furthermore, you benefit from Mexico’s low labor costs and prices of materials, which are reflected in properties and timeshare memberships that you can afford. Riviera Nayarit timeshare is a great choice thanks to the privilege location. Villa del Palmar is located in Nuevo Vallarta in Riviera Nayarit, just a short taxi ride from the airport and within easy distance of Puerto Vallarta, another top vacation destination. Riviera Nayarit is famed for providing a playground for adventures and activities such as zip lining, whale watching and more. The beaches in Riviera Nayarit are also renowned for being among the best in Mexico. The beach at Villa del Palmar Flamingos in Riviera Nayarit is no exception and your timeshare at Villa del Palmar will give you private access to a stunning sandy beach with safe water for swimming. 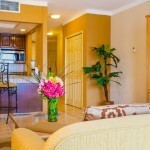 And finally, Villa del Palmar Flamingos resort is a great example of what a timeshare should be. It features an incredible lagoon style pool that dominates the resort landscape with its turquoise hues, punctuated by loungers, outdoor jacuzzis and other places to relax. There is a world class spa which serves both Villa del Palmar Flamingos as well as its sister hotel, Villa La Estancia that offers fractional and full ownership opportunities. 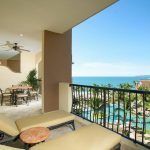 The suites you will have access to when you purchase timeshare at Villa del Palmar Flamingos are also super comfortable and elegant, with spacious balconies and en-suite bathrooms. Suites that have one bedroom or more will also feature a full kitchen, while studios have a small kitchenette where you can prepare meals. There is no doubt that Riviera Nayarit timeshare makes sense at Villa del Palmar.